"Closing Costs" are the fees that cover the various services involved when you sell or buy residential real estate. Buyers & sellers almost always negotiate to determine who will pay different portions of these costs. As the list below indicates, many of the costs result from getting your mortgage.  Since HT Lending Group, LLC has extensive experience with mortgages and closings, we are closing cost experts. Buyers get a "Good Faith Estimate" of closing costs at the time the loan application is submitted to the lender. We base this cost estimate on our extensive past experience. It's important to note that while our GFEs are very accurate, we cannot always estimate your costs to the penny. We go over Good Faith Estimates with buyers almost every day, so we will be happy to answer your questions about closing costs. We've provided a general list of closing costs below, but we will provide you a specific list of closing costs, with amounts, soon after you have completed your application. At HT Lending Group, LLC, we don't believe in surprises, so if your costs change, we will be sure to let you know immediately. HT Lending Group, LLC can help you understand closing costs. Call us at 817-431-8618.